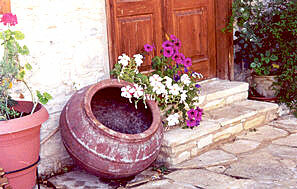 Panayia is a beautiful and hospitable village in the Paphos region. 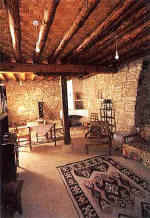 It was the birthplace of Archbishop Makarios III the first president of the Cyprus Republic. 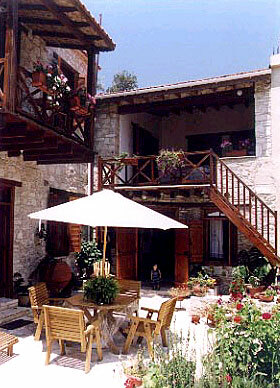 It stands 880m above sea level within the evergreen Paphos forest. Palati offers the comforts of a fully furnished modern home, with central heating,fully equipped kitchens, fans etc but in traditional and beautiful surroundings. The courtyard is a wonderful place to relax and unwind from the stresses of the 20th century, travel back in time at Palati. 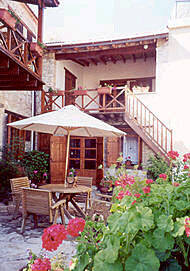 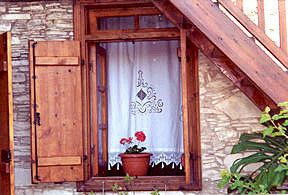 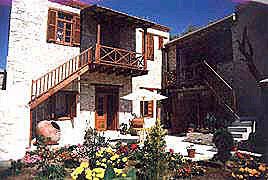 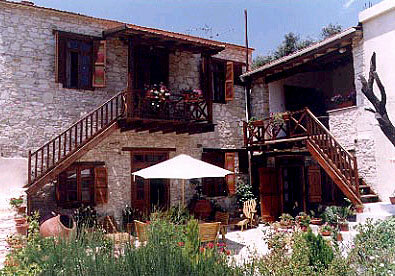 There are 2 balconies at Palati from where you can enjoy the mountain scenery and drink in the peace of the countryside. 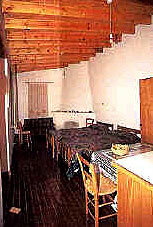 The studio comes equipped with laundry facilities, television and phone access.